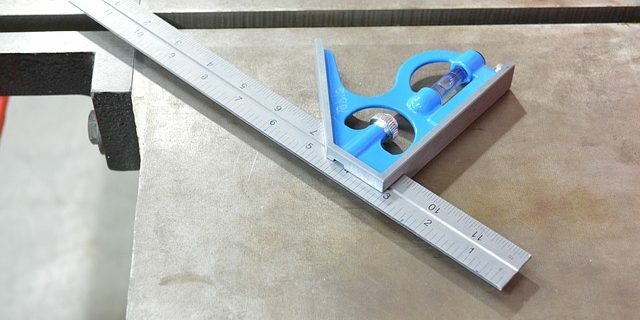 If you’ve used a measuring square before, then you know it can sometimes be a challenge to keep the square in exactly the right spot while you do your measurements. You set your square to the right place, move a hand to start drawing your line and then the square shifts and your line is ruined. Instead of trying to tape down your square or fix it in another fashion that may damage your work surface, try this simple hack instead. One of the easiest ways to prevent your square from slipping is to use vinyl picture frame bumpers. These tiny adhesive dots stick to the back of the square and give it a bit of grip to stay in place. You will likely only need a few for a small square—typically one at each leg end and one at the angle. For larger squares, you may want to apply a few sets of two dots every few inches to keep the square more secure.